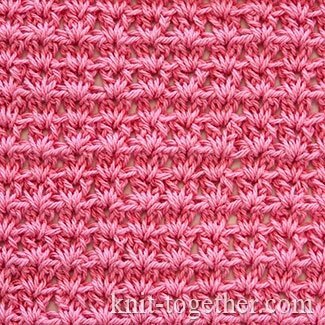 This simple pattern we make with the extended half double crochet stitches (ehdc). 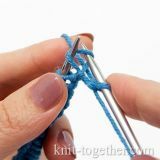 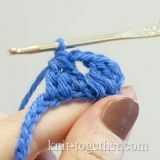 Extended half double crochet make similar to extended double crochet, but after we made an extra chain stitch we must catch working yarn and pull it through all three loops on the hook. 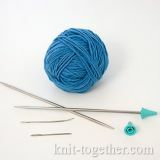 This fabric is quite dense and tough. 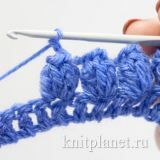 Suitable in cases when you want to keep the shape: for crocheting bags, wallets, slippers and etc. 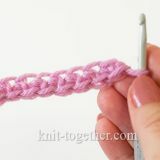 2 row: 3 turning chains, * 2 extended half double crochet in space between the stitches of the previous row * , 1 half double crochet in the top chain of the turning chains. 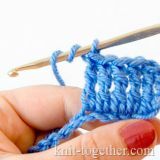 Extended half double crochet (ehdc).